An imprerssionist portrait oil on canvas by Female British artist Mary Potter. 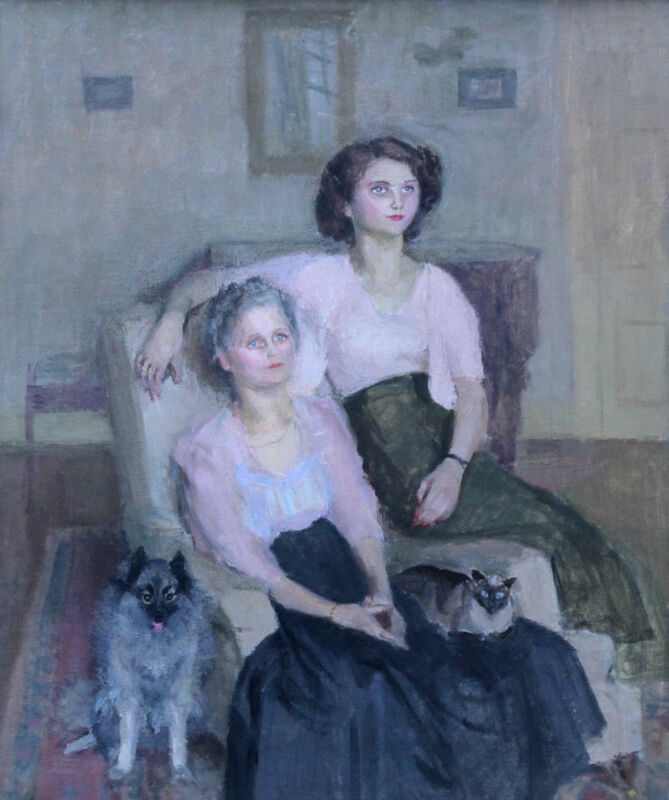 The work depicts two women, casually seated close togeather in a living room, with a Siamise cat and a dog near by. 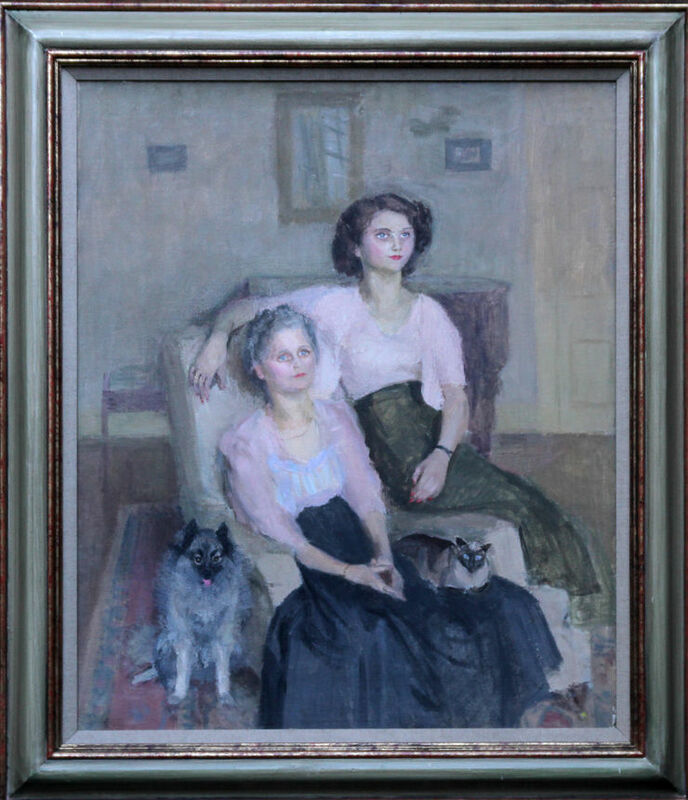 The sitters are Mrs Ronald Simpson and her daughter Jenny. Her husband was a famous film and TV actor in the 1940's and 50's. This is a fine example of an early British impressionist oil painting oil with good subject. The collection of Frances Spalding, Art historian and writer. Austin Desmond Fine Art, London. Framed, 30 inches by 32 inches. Gallery condition.